The property is a two-storey semi-detached shop, the unit is constructed from brick underneath a pitched roof. The ground floor provides a prominent retail sales area including kitchen and w/c facilities. There is also a door from the side elevation which provides access to the rear car parking area. The first floor provides additional open plan space which is accessed via a staircase from the ground floor. At the front of the property there are 3 car parking spaces. 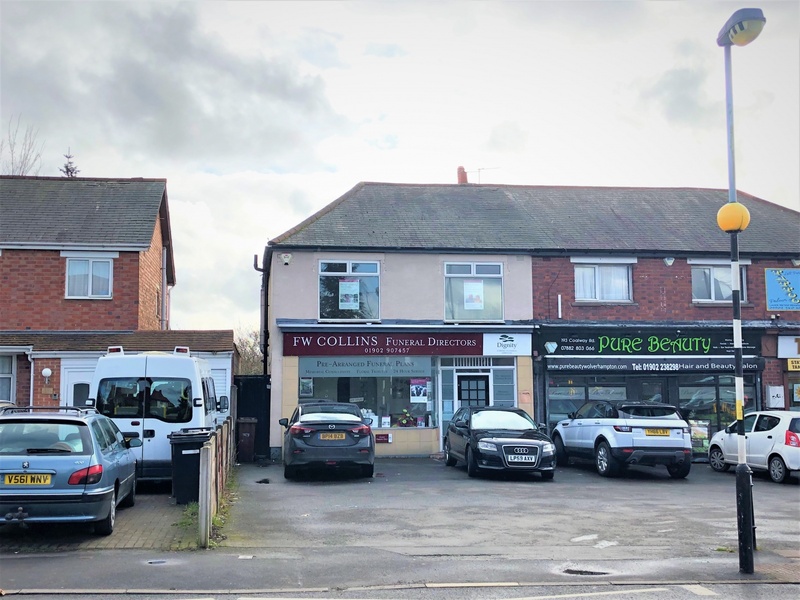 The property is situated in Coalway Road, close to the island junction with Warstones Road and Oxbarn Avenue, within a parade of shops. Wolverhampton City Centre is located approximately two miles to the north-east.